Runrig - "50 Great Songs"
RUNRIG are the ultimate Scottish music export – with their mix of modern rock/pop sound and traditional scottish folk elements, the band has been satisfying loyal fans and critics for 30 years in equal measure. Even though the band is influenced by Scottish folk music, RUNRIG is not a typical folk band. Since their foundation in 1973 they constantly proved that they are a successful Pop/Rock band. 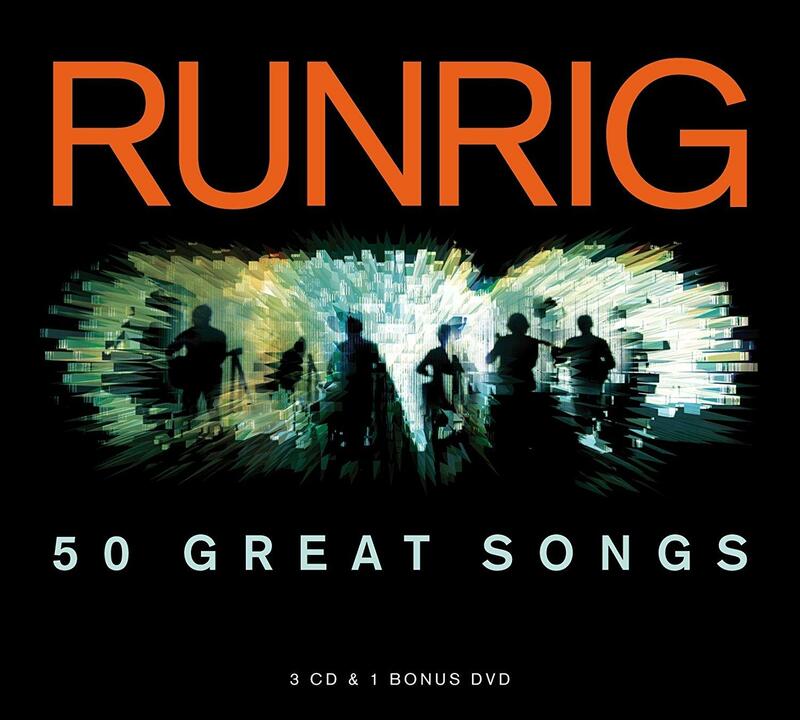 Now there will be released the 3 CD / 1 DVD Box „50 Great Songs“ the definite RUNRIG song collection. „50 Great Songs“ presents the best 50 songs of their legendary career! The box includes 1 CD with 14 Gaelic songs, 2 CDs with a total of 26 best-of-tracks and a bonus DVD with 11 live-videos.